Perfect Air offers Heating and Air Conditioning Repair and Installation in Norwalk, California. A small, but highly trained full service Heating and Air Conditioning company, we provide budget friendly furnace and air conditioning repairs and installations. With bases in Orange, Garden Grove and Anaheim,Ca we serve the Orange, Riverside Counties. From floor furnaces to cutting edge forced air systems, we have the experience to repair or install your heating and air conditioning equipment. 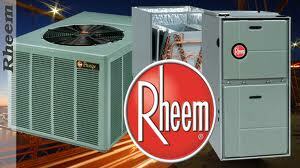 Please contact us for all of your AC and Heating installation needs. Just a few questions for our customers in Norwalk, Ca. Does your Air Conditioning blow warm air in AC mode? 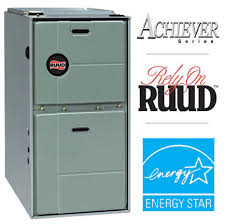 Perhaps your furnace fails to warm your home or runs continuously? Maybe it doesn’t come on at all. These are common problems we hear everyday. Our service call fee ranges from $50 to $75. This entitles you to a written diagnosis and estimate for repairs . The fee is waived if you decide to use us to effect the repair. Our trucks are fully stocked, which ensures we will leave you with your equipment operating properly the first visit. We will also come to your house free of charge and give you an in-home analysis of your current heating and air conditioning system. (As part of a free estimate to replace or install new equipment.) We professionally install only name brand, quality equipment. You can rest assured your new investment will be operating properly for many years to come. From residential to commercial systems, package units to heat pumps, floor furnaces to forced air heat, we have 15+ years experience and are factory trained. Don’t take a chance by calling the BIG GUYS. We look forward to giving you the best air conditioning and heating service, at the best price. Copyright © Perfect Air-Long Beach Air Conditioning & Heating Repair / Installation – Lakewood, Ca. Free estimates. Anaheim,Garden Grove,Norwalk,Carson,Cerritos, Irvine,Whittier,Pico Rivera,Huntington Beach,Westminster 2009.